The UK arm of eBay paid only £1.6m in corporation tax last year, even though its US parent had total revenues from its UK operations of $1.32bn (£1bn). Ebay’s UK accounts record only £200m in revenues, which came entirely from a Swiss parent firm, seemingly for acting as its advertising agency. The company declined to explain how its UK revenues were not booked though its UK business. However, an eBay spokesman said its tax affairs were entirely legal. “In all countries and at all times, eBay is fully compliant with national, EU and international tax rules including those of the OECD, including the remittance of VAT to the appropriate authorities,” he said. The pre-tax profit eBay UK made on its revenues in 2016 was £7.7m, according to the accounts, and it was on this figure that the UK corporation tax was levied. Ebay is a huge international business that makes money mainly from advertisers and the commission on sales made through its auction site. The total revenues of $1.32bn that the parent US business generated from the UK included those from subsidiaries such as the Stubhub ticket exchange and Gumtree classifieds site. Within the group, the UK arm of eBay is wholly owned by eBay International, which is based in Switzerland and is itself owned by eBay in the US. 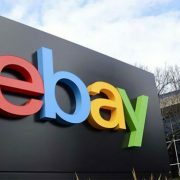 The firm’s UK accounts describe the role of eBay UK as providing “services to eBay International by recommending market penetration and advertising strategies for the UK internal marketplace and related third party advertising sales in the UK, Germany, Italy, Belgium and Australia”. The seeming ability of the company to shelter most its UK profits from the UK tax authorities raises again the ability of big international companies to route their revenues to the countries with the most favourable tax regimes. This has led in the past few years to intense scrutiny of the tax practices of big firms such as Apple, Amazon, Google and Starbucks. Ebay in the US, whose international revenues hit $9bn last year, acknowledged that its tax affairs were under scrutiny in several countries, which may leave it with more tax to pay. “The material jurisdictions where we are subject to potential examination by tax authorities for tax years after 2002 include, among others, the US (Federal and California), Germany, Korea, Israel, Switzerland, United Kingdom and Canada,” its US accounts said.